The Jinger Adams Store opened yesterday! Now you can purchase all of her gorgeous products! I used her Gypsy Queen patterned paper for this card. I love that bright orange design! This adorable pocket was cut with a die from My Creative Time's Fun Pockets stamp set, and the sentiments and hearts came from there too! That's more Gypsy Queen paper you see for the pocket as well! Jinger is having a fun Facebook event where you can grab a 15% off coupon code for your first purchase, and you can join a contest to win her new January CHA collection. Click here for more info! Cute card! Love the bright colors in the paper. Katie ~ AWE CUTE card!!! 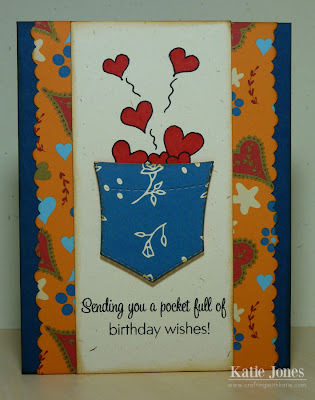 That pocket die and the hearts are my FAVORTIE and I never seem to remember to use them!!! The bright bold colors are just PERFECT to celebrate someone's birthday!! AWESOME card and I will have to go check jinger's blog out!! Have a GREAT weekend! 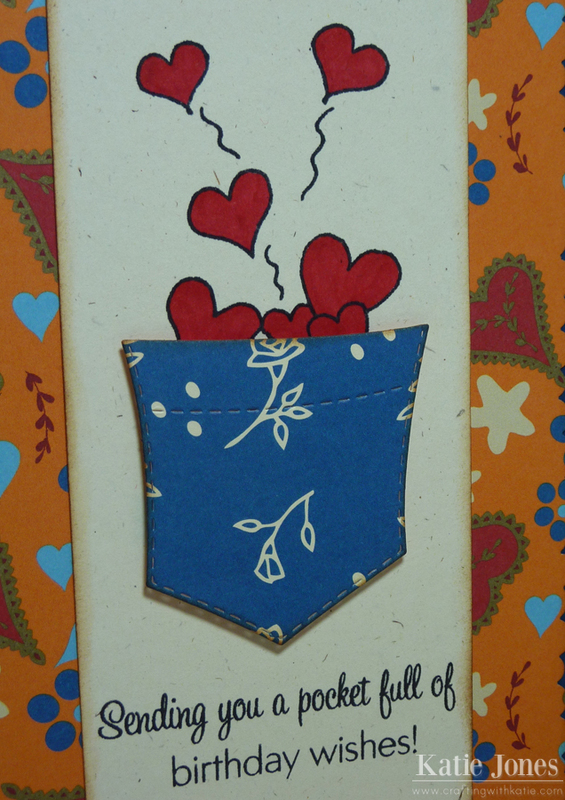 cute card, love the pocket and hearts !!! katie, this is so cute! the pocket die is perfect with the paper! Love the colors and papers. Cute card!